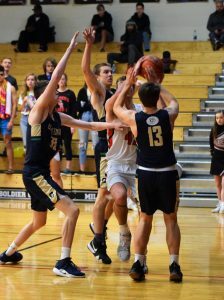 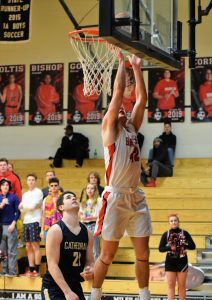 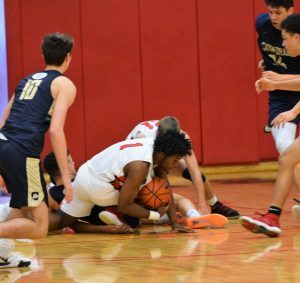 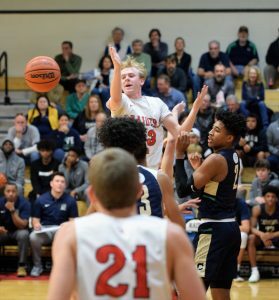 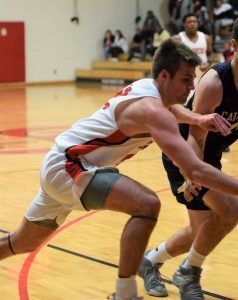 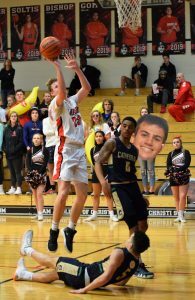 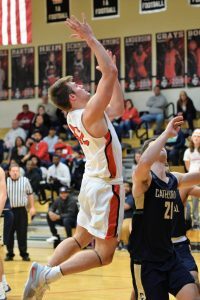 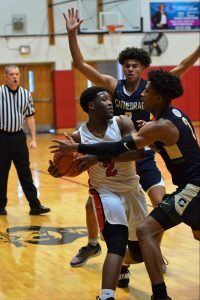 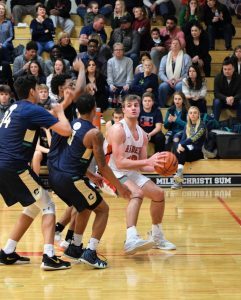 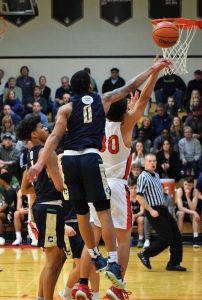 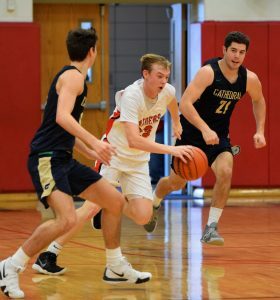 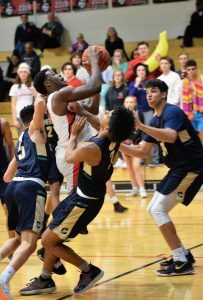 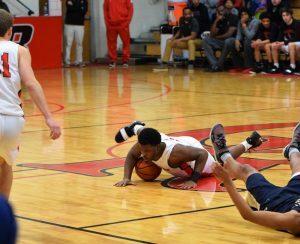 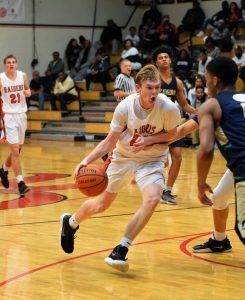 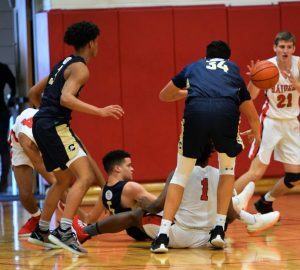 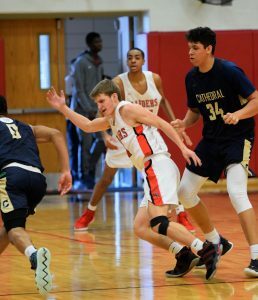 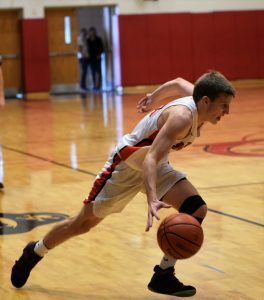 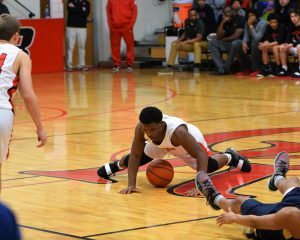 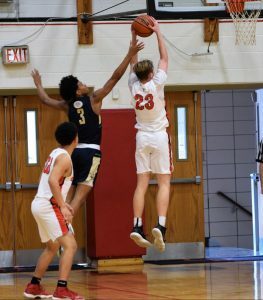 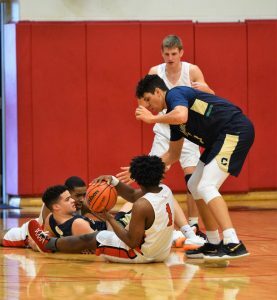 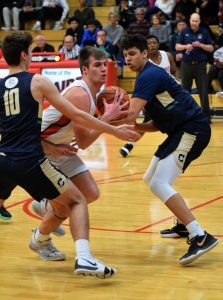 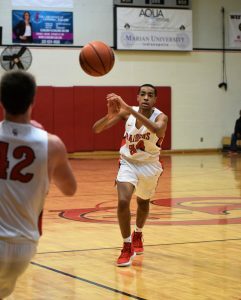 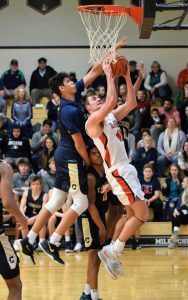 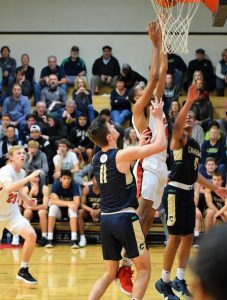 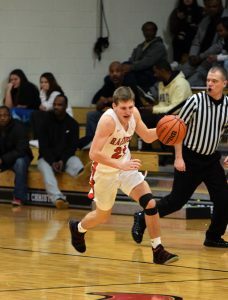 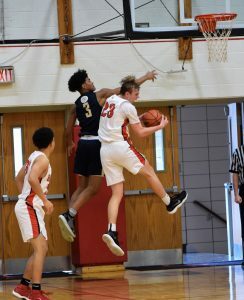 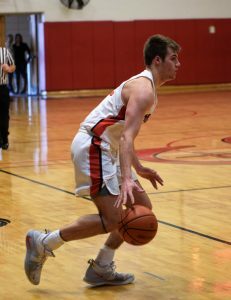 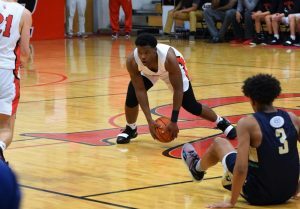 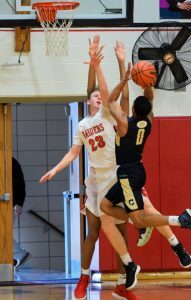 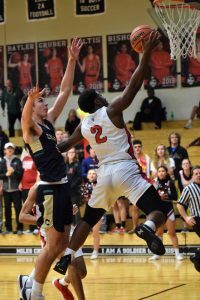 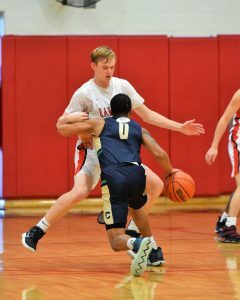 The Cardinal Ritter Boys Basketball Team dropped a tough one to Cathedral, 83-64 on Saturday . 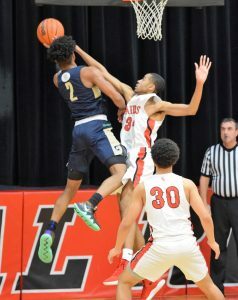 The Irish started off hot jumping out to an 11-0 run to start the game behind the hot shooting of James Franklin. 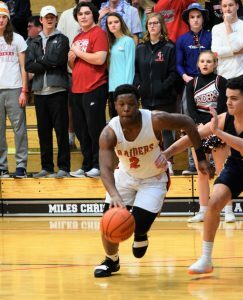 The Raiders offense picked up some steam scoring 18 points in the 2nd quarter, however the Irish took a 17 point lead into half time. 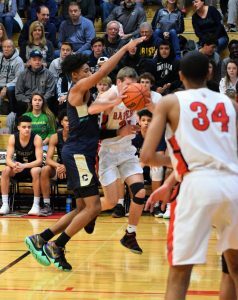 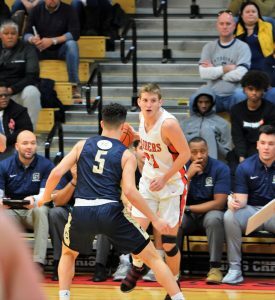 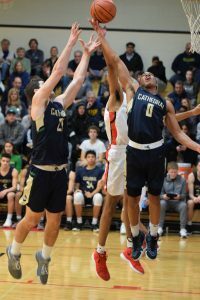 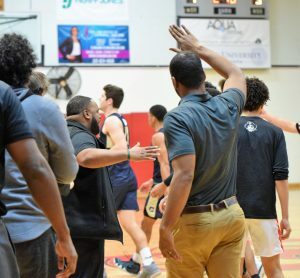 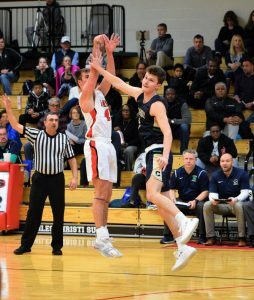 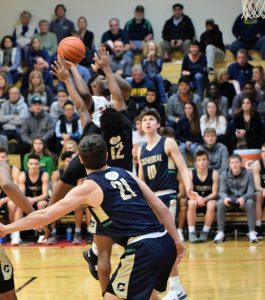 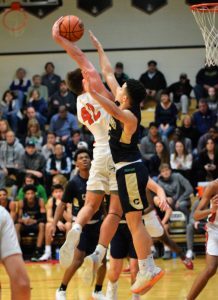 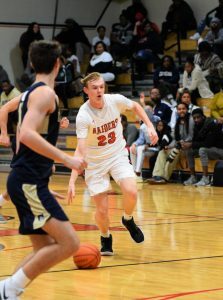 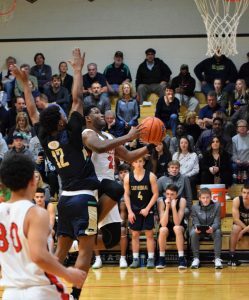 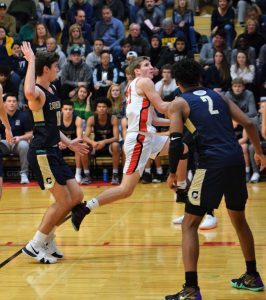 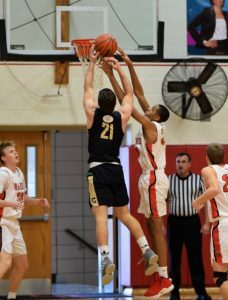 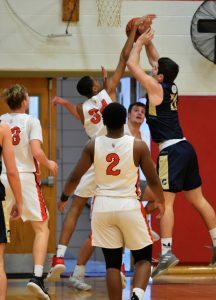 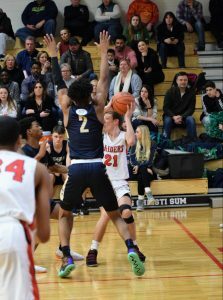 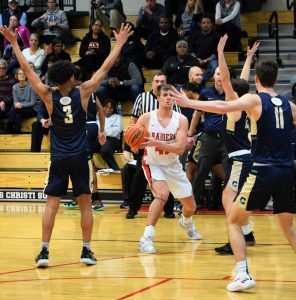 The Raiders came out of the half on fire, cutting the Cathedral lead to 9 points in the first 3 minutes of the quarter, but the Irish hot shooting continued throughout the night, and the Raiders could not close the gap. 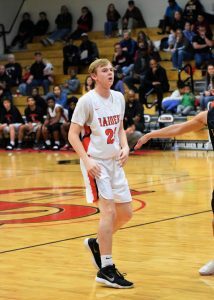 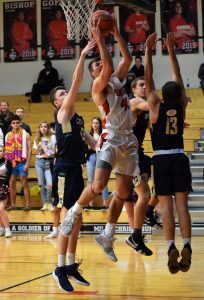 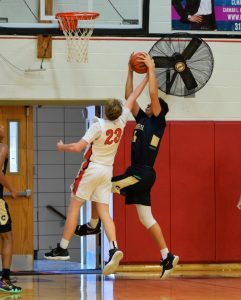 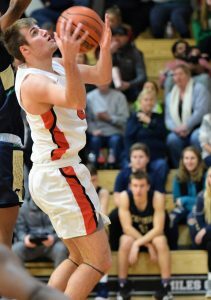 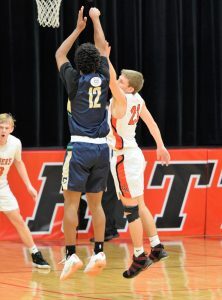 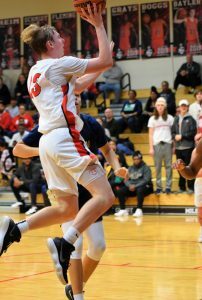 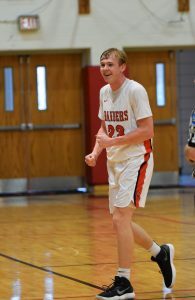 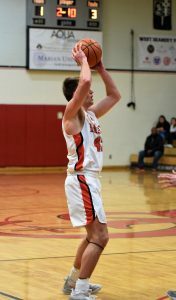 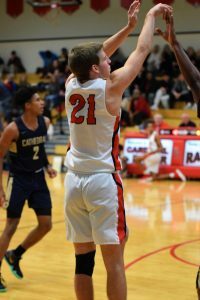 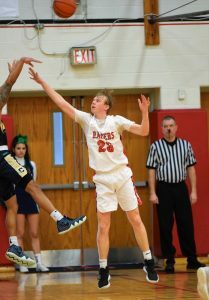 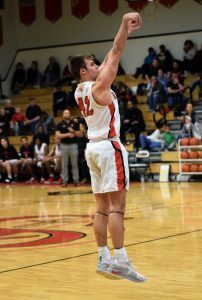 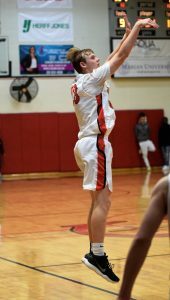 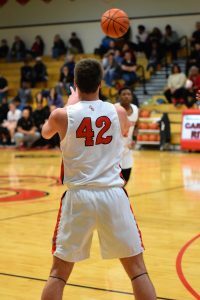 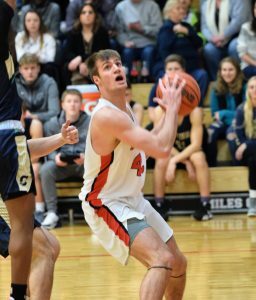 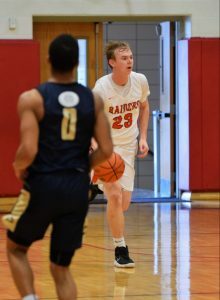 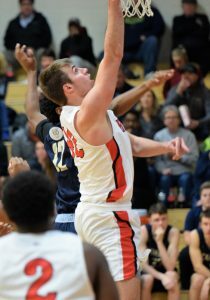 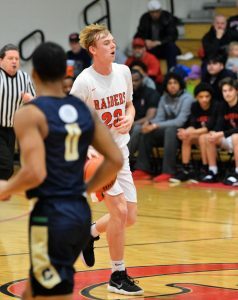 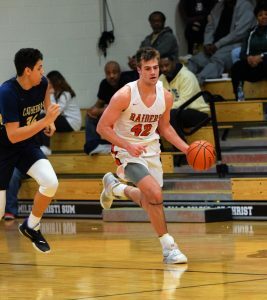 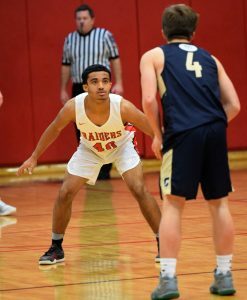 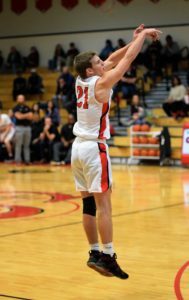 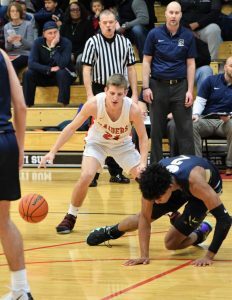 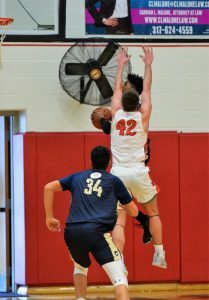 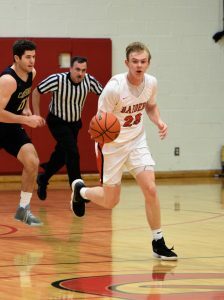 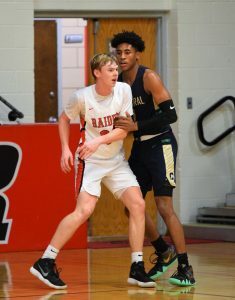 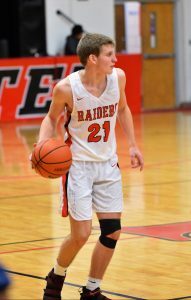 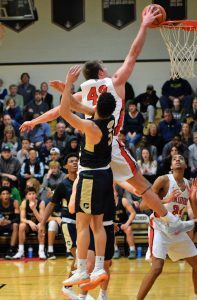 “Nasty” Nate Soltis finished with 19 points on the night, Dan “O-Mite” Bayler added 16, and Marlon “Hot Shot” Anderson, Jr finished with 12 for the Raiders. 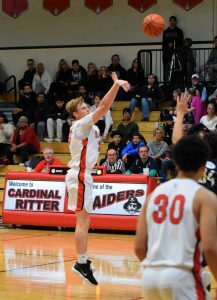 The JV Raiders also got off to a slow start vs falling into a 17-4 run at the end of the first. 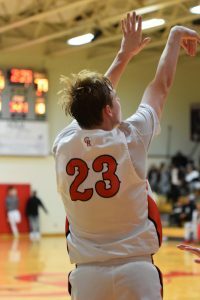 However, the Raiders found their rhythm in the 2nd and carried that to only trail by 3 going into halftime. 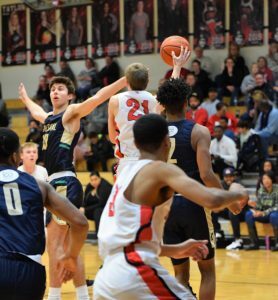 The 2nd half was back and forth with both teams trading the lead and several ties, but in the end the Irish hit clutch free throws to escape with a 3 point win. 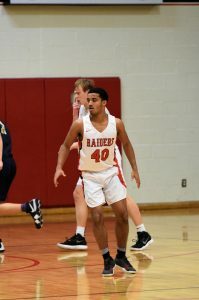 The Raiders were led Will Sandifer, Rodney Adams, and Aron Gerbenskle. 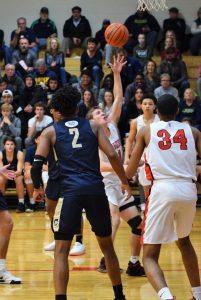 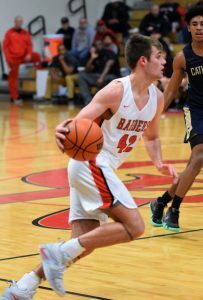 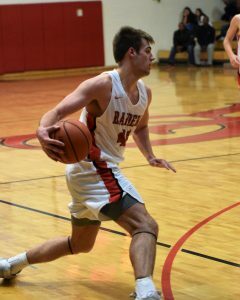 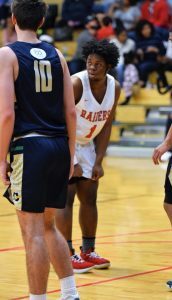 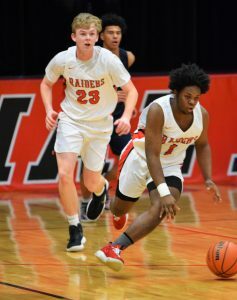 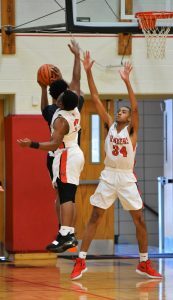 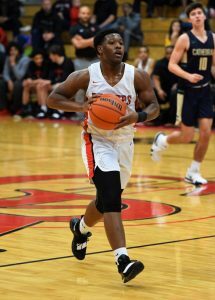 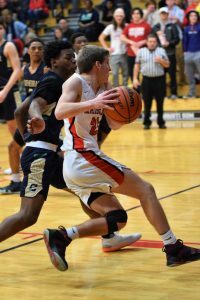 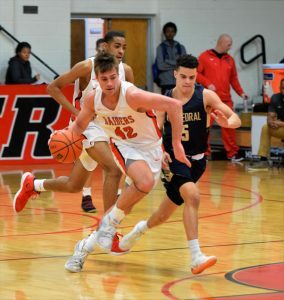 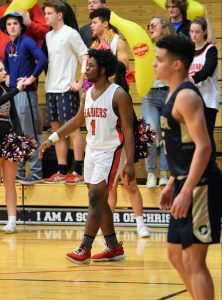 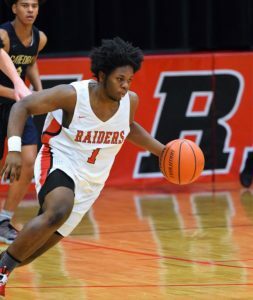 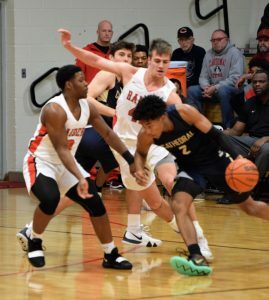 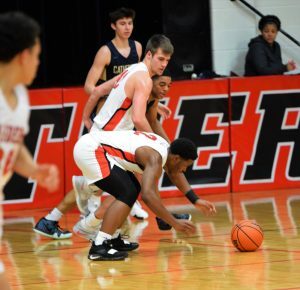 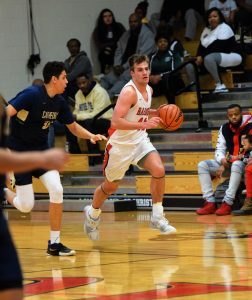 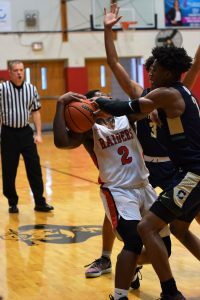 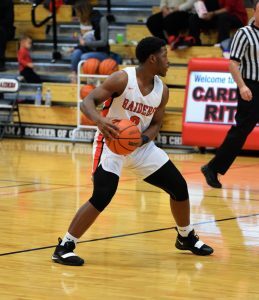 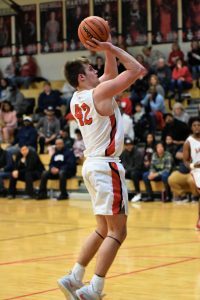 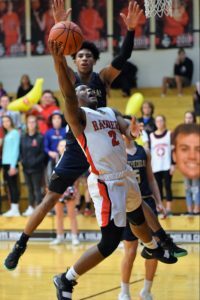 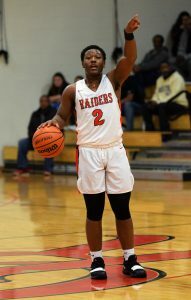 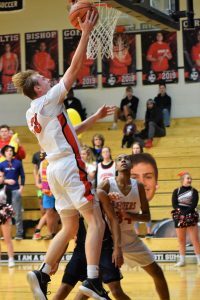 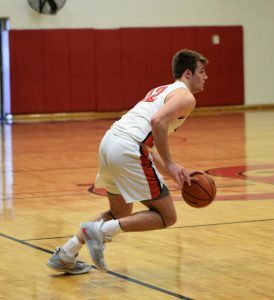 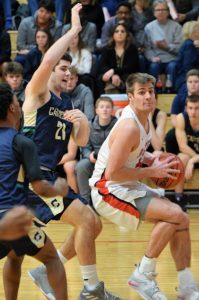 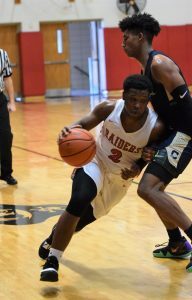 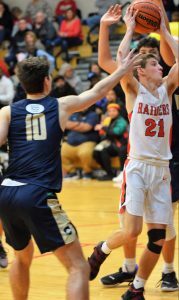 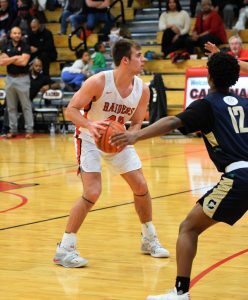 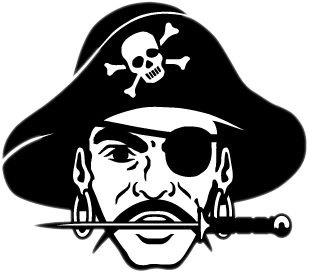 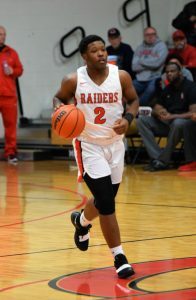 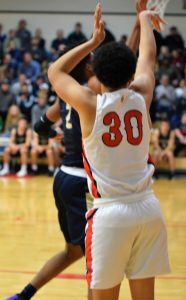 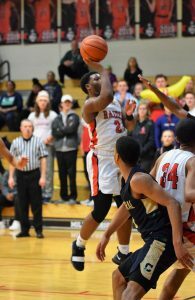 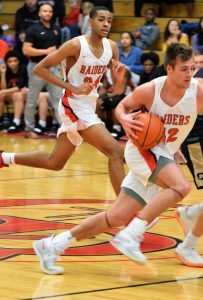 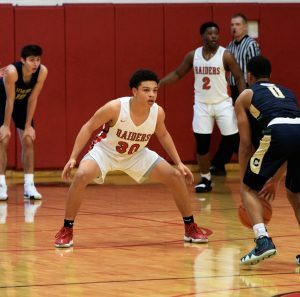 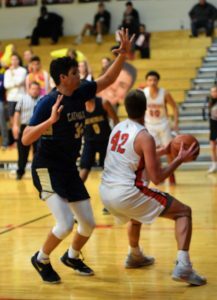 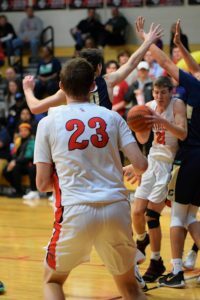 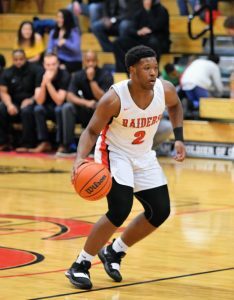 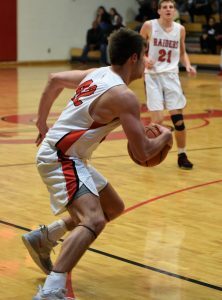 The Raiders will look to right the ship on Wednesday as they travel to Beech Grove to take on the Hornets in an Indiana Crossroads Conference game. 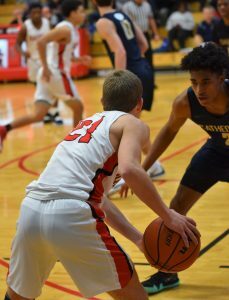 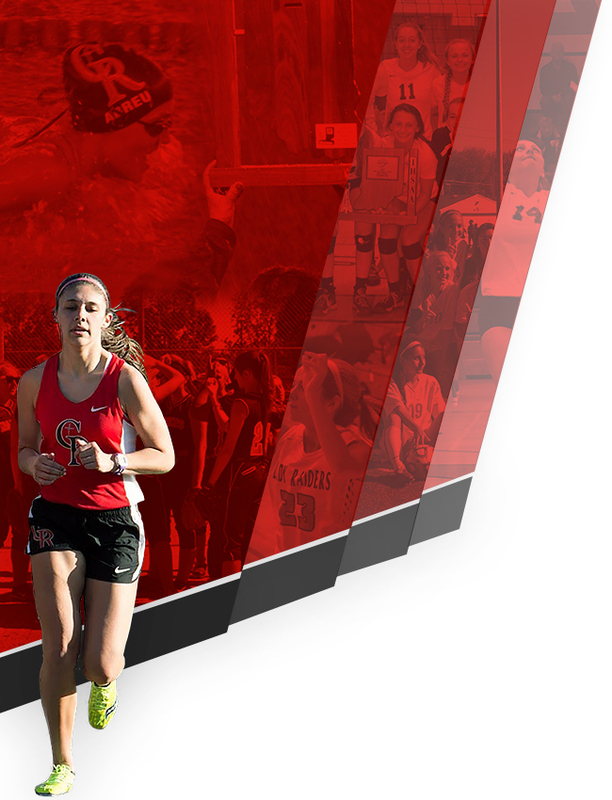 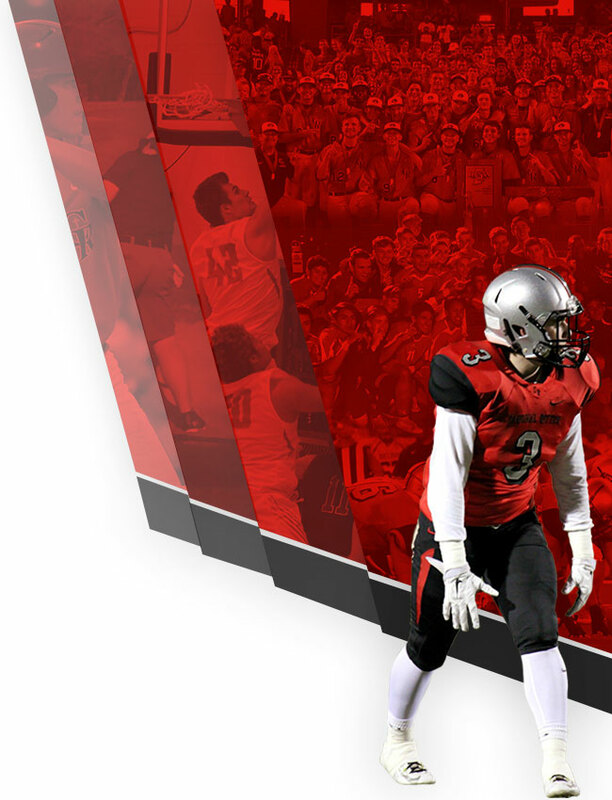 JV will begin at 6 with varsity to follow.